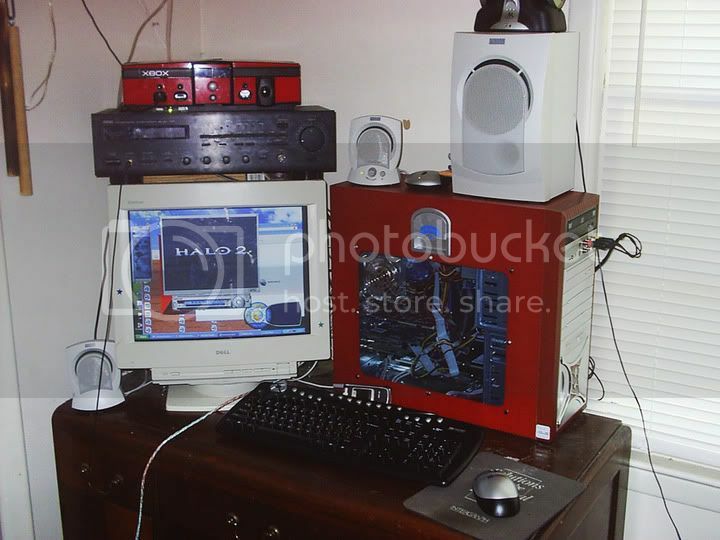 is that a hard drive in the lower right corner? You mean next to the tea? Hell it might be lol, that picture is somewhat old. Computer is in the same spot that my last one was in in that previous photo, but it's a new case. A cat, my dear Watson. Very nice, regulus. You have a very nice room. I haven't seen one of those switches thats under your monitor in years.